Specially designed ceramic-infused Welltex fabric uses your body heat to create a soothing warmth. 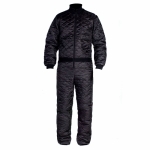 The ceramic powder reflects your body heat and creates a soothing infrared thermal warmth. Reduces pain and inflammation, relaxes muscles, and increases blood circulation. Infrared thermal warmth reduces pain and inflammation and relaxes muscles. Soft, comfortable 100% cotton jersey knit, elastic waist band and a 4" inseam. Soft, comfortable 100% cotton jersey knit, for lounging or sleeping, relaxed fit and elastic waist band. Adorable nuzzling mare and foal necklace, in silver heart shaped pendant with rhinestone. Made with a soft brushed fabric, these comfortable boxer shorts feature a horse and peppermint design, as well as a drawstring to ensure a secure fit. This two-piece pajama set is sure to keep any young horse lover comfortable and warm at bed time with it's soft brushed fabric and drawstring to ensure a perfect fit. Bright colors & adorable girl & her 'BFF' horse motif, soft material, look for matching tops & pj's. Bright colors & adorable girl & her 'BFF' horse motif, soft material, look for matching boxers & tees. Bright colors & adorable girl & her 'BFF' horse motif, soft material, look for matching boxers & pj's. Comfortable & cute with the adorable Trio design of a horse & two dogs, look for matching tee. Comfortable & cute with the adorable Trio design of a horse & two dogs, look for matching boxers. Ideal for bed and lazy days around the house, these boxers are soft and comfortable.